Your cat wants a doctor that speaks their language, not a traditional vet that spends most of their day with dogs. Visit us at Cat Care Pros, your feline-exclusive veterinary clinic and boarding facility in Lake Oswego, Oregon. Does your cat get scared going to the vet? Then why take them to a clinic where they can hear barking dogs? Our pet hospital is custom-designed to lower stress. Get the most value for your money and pay for the advice of cat pros not just animal pros. Our veterinarians simply know more about cats. Our clinic is conveniently located near Portland, Oregon and surrounding areas, right off I-5. At CCP, our entire facility was created with our feline patients in mind. From the room layouts to the equipment, all is tailored to fit a cat’s unique needs. Welcome to Cat Care Professionals! We are your local feline-exclusive veterinary clinic and boarding facility in Lake Oswego, Oregon. 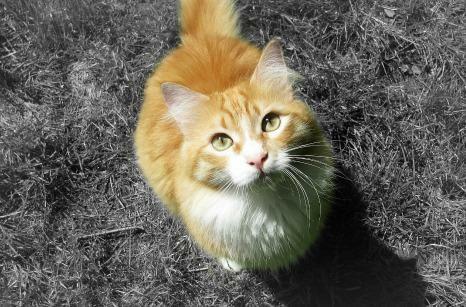 We’re proud to provide a wide variety of services for cats in Portland & surrounding areas.